* Senior club appearances and goals counted for the domestic league only and correct as of 28 February 2010. Arda Turan (born 30 January 1987) is a Turkish footballer who plays for Galatasaray and the Turkish national team. At the age of 22, prior to the 2009-10 season he was made the captain of Galatasaray. Like many Turkish footballers, he is most commonly known by his first name. Arda already has over 30 senior national caps and five goals for Turkey, and following a successful Euro 2008 campaign, he was ranked 8th in a selection of the 100 Best Young Football Players in the World, published by Spanish magazine Don Balón in July 2008. In January 2010, Arda was voted as the most popular European footballer of 2009, and the second most popular footballer in the world, by the IFFHS. Arda is a product of the Galatasaray youth system, and had a successful spell on loan to fellow Super Lig side Manisaspor in the 2005-06 season. He was recalled the for the start of the following season, and quickly broke into the first team. It was during this time that he received his first senior international call up. Arda quickly impressed manager Eric Gerets with his performances early in the 2006–07 season. After his performances in the Champions League qualifiers which led Galatasaray to the group stage, Arda became a first team regular. Arda continued his development in the 2007-08 season. Despite a poor start to the season, Arda improved his performances immensely, scoring seven goals in the second half of the season. Following his impressive displays domestically, Newcastle United made a £9m offer to buy Arda prior to the Euro 2008 championships, but the Galatasaray chairman rejected the offer. At the start of the 2009-10 season, Arda was handed the captaincy of Galatasaray, and was handed squad number 10, which had previously belonged to Metin Oktay and Gheorghe Hagi, having previously worn number 66. As captain at the start of the 2009-10 season, he guided his team to six consecutive league wins games which put Galatasaray comfortably at the top of the table. He has scored seven goals and registered 17 assists in all competitions so far this season. Arda is an international regular having made over 30 appearances for Turkey at senior level. He made his debut in the 2–0 friendly victory over Luxembourg on August 16, 2006, having worked his way through the youth National Team at U19 and U21 level. He scored his first international goal on May 25, 2008 in a friendly against Uruguay. Arda featured in nine of Turkey's twelve qualification matches for Euro 2008, and starred in the finals of the tournament itself. He scored two goals during Turkey's progression to the semi-finals. The first was a 92nd minute winner against the Swiss in their second group game to knock them out of the competition. His second came in the final group game against the Czech Republic, in which the winner would go through to the quarter-finals due to identical records. He scored Turkey's first goal in the 75th minute, beating Petr Čech with a low shot, which lead to Turkey coming from 2-0 down to win the match. He also successfully converted a spot-kick in the penalty shootout against Croatia in the quarter-finals, taking Turkey to the semi's where they were eventually knocked out by losing finalists Germany. Arda scored two goals during the qualification rounds of the World Cup, but ultimately Turkey failed to qualify from their group. After a qualifier in September 2008 between Armenia and Turkey, two sides which have historical political problems, both teams received a FIFA Fair Play Award for 2008. He scored the Turkish national team's 600th international goal, in a 2010 World Cup qualification game against Estonia on 5 September 2009. He is well known for his technical ability and his mazey runs, as well as his ability to assist and score. In his personal life he describes himself as a big fan of Galatasaray. He says that "Other teams have offered me really big money but my love for Galatasaray is real." He also declares that "I want to play in major leagues and my dream team is Liverpool." He says he enjoys being compared to Lionel Messi. But states that Messi is the greatest player in the world." He is also highly involved in work with the Galatasaray youth set up, particularly with the u21's. He is a regular follower of their games and offers them support. On 16 November 2008, Arda collapsed during a game against İstanbul BB. After being rushed to hospital he was diagnosed with cardiac arrhythmia. The day after the incident doctors declared that Arda's health is ok, and that extreme exhaustion caused the arrhythmia. In November 2009, he suffered a minor bout of swine flu but recoverred within a few days to resume training. He is also known for his humanitarian work. Especially in the helping of sick children. He has a passion in cars and currently drives an Aston Martin DB9 according to Turkish Press. In early January 2009, he was involved in a serious car crash in Istanbul  that left his car written off. Fortunately Arda suffered no real damage and continued training with only cuts and bruises. ^ a b "TFF Statistics". Turkish Football Federation. http://www.tff.org/Default.aspx?pageId=30&kisiId=664036. Retrieved 2009-12-30. ^ "Who on earth is Arda Turan?". FootballingWorld.com. http://www.footballingworld.com/2009/03/31/who-on-earth-is-arda-turan-galatasaray-0244. Retrieved 2009-03-31. ^ a b c "The World's Most Popular Footballer Amongst Currently Active Players in 2009". IFFHS. http://www.iffhs.de/?32a00e42f0ae2300bf11504e52d17f7370eff3702bb1c2bbb6e28e05. Retrieved 2010-01-27. ^ a b c "Three soccer players from Turkey in most popular list". WorldBulletin. http://www.worldbulletin.net/news_detail.php?id=53266. Retrieved 2010-01-27. ^ "Adnan Polat: We're not selling Arda". Sabah.com. http://www.sabah.com.tr/2008/07/06/haber,D299C6C2ACD84E78A8AC6E518A111995.html. Retrieved 2008-07-06. ^ "New squad changes announced". galatasaray.org (Turkish). http://www.galatasaray.org/futboltakimi. Retrieved 2009-07-04. ^ "Captain Arda now number 10". Galatasaray.org (Turkish). http://www.galatasaray.org/futbol/futbol_as/haber/4263.php. Retrieved 2009-07-10. ^ a b "Fair play for Armenia, Turkey". FIFA.com. http://www.fifa.com/classicfootball/awards/gala/news/newsid=990948.html?cid=rssfeed&att=. Retrieved 2009-01-12. ^ "600th goal from Arda". Hurriyet (Turkish). http://www.hurriyet.de/haberler/futbol-turkiye/404380/turkiyeestonya. Retrieved 2009-09-06. ^ "Galatasaray stats". Galatasaray.org. http://www.galatasaray.org/en/futboltakimi/pages/oyuncu_27.php. Retrieved 2009-11-08. ^ "Arda: "My dream is to play for Liverpool"". Ligtv.com.tr (Turkish). http://www.ligtv.com.tr/VideoHaber/?c=6&r=1&hid=65780. Retrieved 2009-12-25. ^ "Arda suffered cardiac arrythmia". Hurriyet.com.tr (Turkish). http://www.hurriyet.com.tr/spor/futbol/10374033.asp. Retrieved 2009-12-26. ^ "Arda diagnosed Swine Flu". Fanatik.com.tr (Turkish). http://fanatik.ekolay.net/Arda-Turan-da-domuz-gribi-oldu_3_Detail_32_153430.htm. Retrieved 2009-12-28. ^ "Arda helping people". Milliyet.com.tr (Turkish). http://www.milliyet.com.tr/Cafe/HaberDetay.aspx?aType=HaberDetay&ArticleID=1132481&Date=10.10.2009&Kategori=cafe&b=Minik%20kalpler%20icin%20bulustular. Retrieved 2009-12-26. ^ "Arda bought Aston Martin". Sabah.com.tr (Turkish). http://i.sabah.com.tr/2009/07/16/630574687500.jpg. Retrieved 2009-12-26. ^ "Arda had a car accident". Internethaber.com (Turkish). http://www.internethaber.com/news_detail.php?id=172948. Retrieved 2009-12-26. 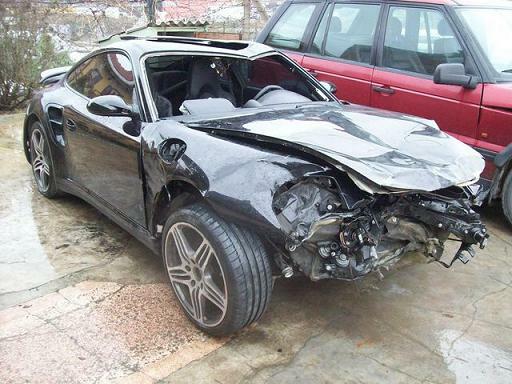 ^ "Arda's Car After the Acciden". donanimhaber.com (Turkish). http://img.donanimhaber.com/upfiles/711441/BF1702A72E1C46DD9D375A36CFE5C167.jpg. Retrieved 2009-12-29. ^ "First Training After The Accident". Benguturk.com (Turkish). http://www.benguturk.com/haber_detay.php?haber_id=19787. Retrieved 2009-12-29. ^ "Interview with Arda". Ligtv.com.tr (Turkish). http://ligtv.com.tr/VideoHaber/?r=1&hid=66224. Retrieved 2010-01-05. ^ Arda Turan and Sinem Kobal Together", Youtube.com Retrieved on 2010-02-25. Galatasaray-Arda Turan: Youtube link -2- - YouTube - Broadcast Yourself.